The Center for FinancialServices Innovation (CFSI) is the nation’s leading authority on financial services for underserved consumers. Through insights gained by producing original research; promoting cross-sector collaboration; advising organizations and companies by offering specialized consulting services; shaping public policy; and investing in nonprofit organizations and start-ups, CFSI delivers a deeply interconnected suite of services benefiting underserved consumers. 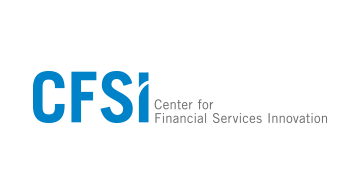 Since2004, CFSI has worked with leaders and innovators in the business, government and nonprofit sectors to transform the financial services landscape. For more on CFSI, go to www.cfsinnovation.com and join the conversation on Twitter at @CFSInnovation.